The weather recently has been a constant state of freezing and for some reason whenever I’ve had chance to get out on the bank the wind has been howling too! Fishing in the winter can be a difficult business, and after reading several other blogs of anglers all persisting and fishing throughout these wintry months, the fish didn’t seem to playing ball. With the forecast set to continue, sitting perched on a box for several hours seemed like a cold waiting to happen. With that in mind, I decided on a change of tactic and opted for a roaming approach targeting some winter predators. Being a member of Ilminster Angling meant I have access to the Somerset Levels Amalgamation waters, so out came the map… and Google. Pinning the exact location of these waters down is a bit like getting blood from a stone. Previously known as the Wessex Federation, there is no website, document or resource which documents a list of waters, but after a fair bit of searching I have found several waters, which look inviting. The idea of roaming the bank seemed like the warmest and most productive method of turning up a few fish, and after speaking to a few piker’s it seemed as though it was “go to” method when trialing new venues. That and the fact that I only had a morning to spare meant I needed to get out there and get mobile. I decided on fishing the river Parrett near Langport and if I had chance, one of the nearby drains. The road leading to the drain was closed so today would be a river day. For bait I would be wobbling dead Smelt, Roach and Perch and spinning with various sized shads. After a bit of Googling I worked out I had about 1 ½ miles of bank to cover, something that didn’t happen on this outing… Arriving at the river at just gone half 7, it was bloody freezing, so I was surprised to see 2 other anglers already fishing on a corner feature I had planned on trying out. I think the one thing I learnt from this trip is “be stricter with my time“. The first 10-15 minutes was spent sorting my cast and retrieve and another 10 minutes pro-actively fishing. I should have moved off after this and gone down stream… But spent another 10/15 giving it “a few more casts”. The other anglers had moved off, so with 45 minutes gone I moved down stream to the corner peg and started working it over. There were a few options at this location, and as well as fishing the margins and the main channel, there was an inlet where I saw bait fish moving. I am still a relative novice as far as “wobbling” goes, so I was over the moon with 15 minutes gone, and after really slowing my retrieve, my rod whipped around and I was into a fish! The river had a bit of colour on it, and thinking I was into a small Jack I couldn’t believe my luck when I pulled a Perch into the net. A PB fish which took the scales (after taking off the weight of the sling) to 3.1lb – what a result! 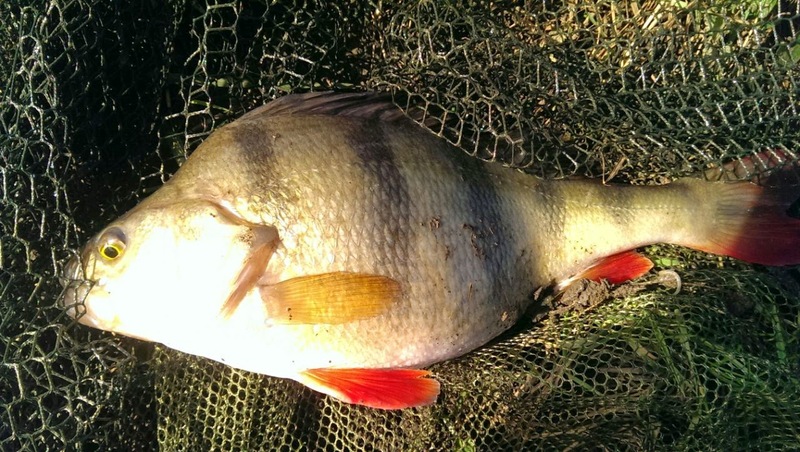 A proper lump of a Perch. 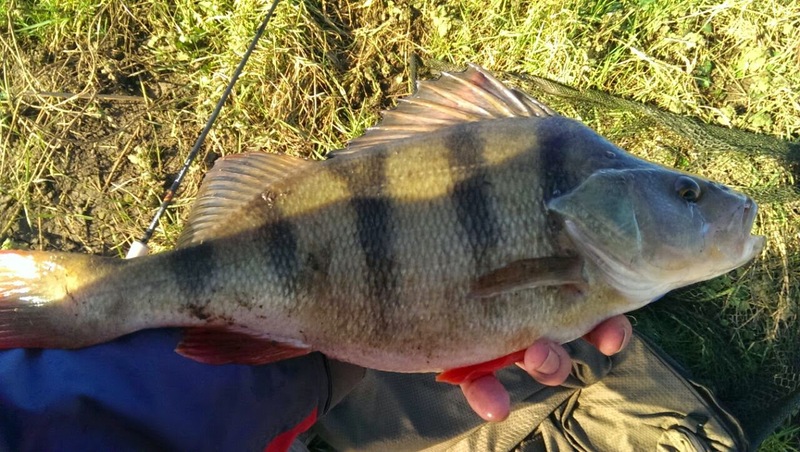 My coarse fishing brain kicked in then, “Perch are a shoaling species”, “where there’s one there’s more”, so I spent another 30+ minutes covering the same stretches of water and having countless “last casts”. After far too long I decided to move on to another stretch about 40 yards down the bank. Despite the river looking very fishy the banks were treacherous and on more than one occasion I was up to my ankle in mud, and on one occasion ending up on my backside in the process. I also broke the golden rule of “getting too close to the edge”. A rookie mistakes, which only time and experience can make right. I spent another hour wandering the bank trying 2 other spots but only managed 1 other take and a mussel (must be a good sign of water quality), so I knocked the trip on the head around 11:15. The wind was really picking up, it had been a constant 15-20mph northerly all morning, but on occasion it had gusted a lot stronger. That made casting accuracy more like pot luck and sooner or later I was going to end up hitting a snag. Heading to the car I was over the moon with my Perch, but I was really looking forward to a cup of tea before heading home. As with all my blogging exploits I try to take a few photos, whether of the location, the peg or most importantly the fish. So on Sunday night when I went to upload my photo’s to the PC and I found my phone screen a solid shade of blue/black I was gutted! Not only had I lost the days photos but I’d also lost the other 1600 I’d taken over the last 16 months. Some had uploaded to my online SkyDrive, but I have sadly lost the majority of them! Bugger! Anyway, I’ll definitely be returning to the river and the drains before the start of the close season to try and catch my first river Pike, but between now and then I’ll be reading and learning as much as I can to try maximise my chances of catching next time! Fishability – ***1/2 – There are definitely fish around, but locating them will involve a lot of bank hours. 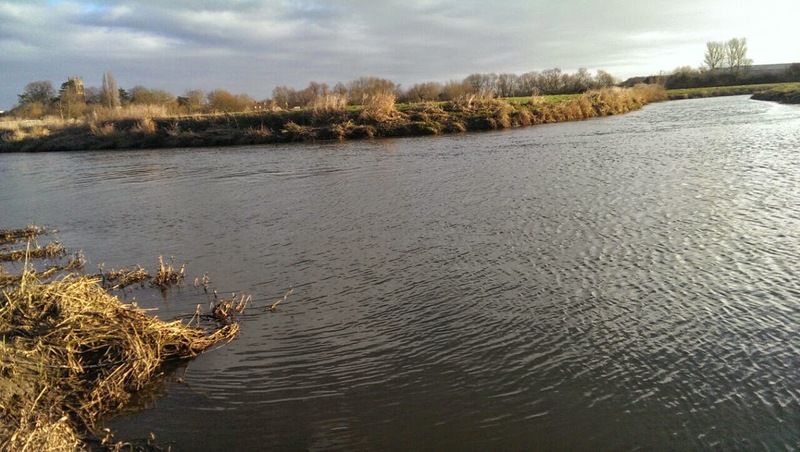 Accessibility – *** – As with all River and drain fishing, peg parking is almost non existant. But there are various laybys, car parks and verges which can be parked on. There are also dozens of public footpaths along these stretches which means you don’t have to engage in jungle warfare to get to you peg. Disabled Access – * – Despite having well-trodden footpaths, the fields are damp and muddy and pushing a wheelchair would be almost impossible. Walking with a Zimmer frame would be possible, but you would need assistance to navigate through the gates and getting up and down steps.